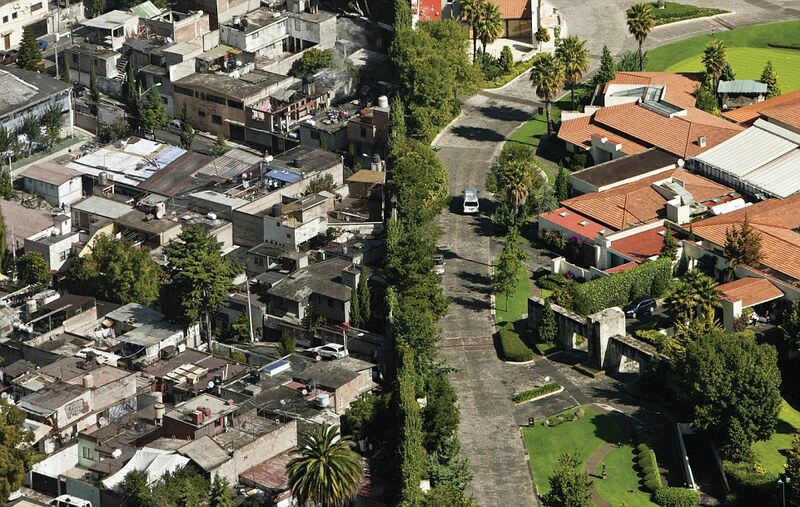 These striking photographs show the scale of poverty – and affluence – that live shoulder-to-shoulder in Mexican cities. A modern, luxury apartment block towers with confidence over its surroundings. Residents enjoy the view from their rooftop gardens but – tellingly – have set up large screens to block out the view in one direction. 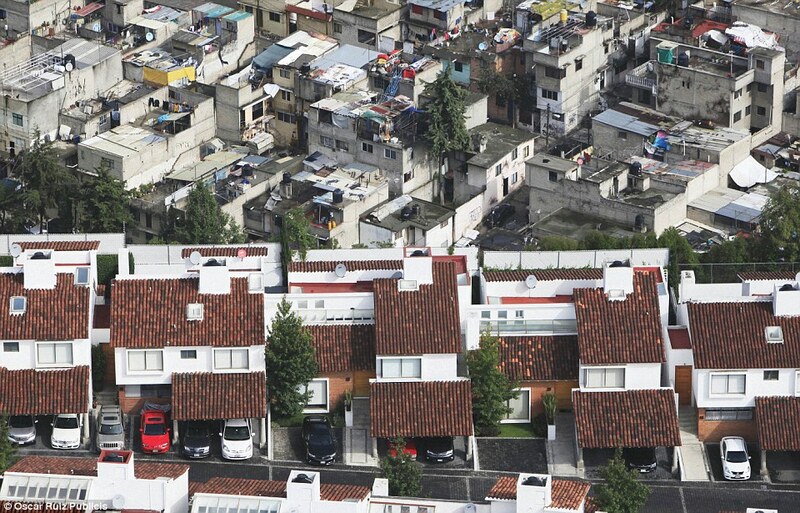 If they were to peer round the barricades, however, they would be confronted with a slum-like maze of cramped, tumbledown concrete constructions just inches from their plush existences. 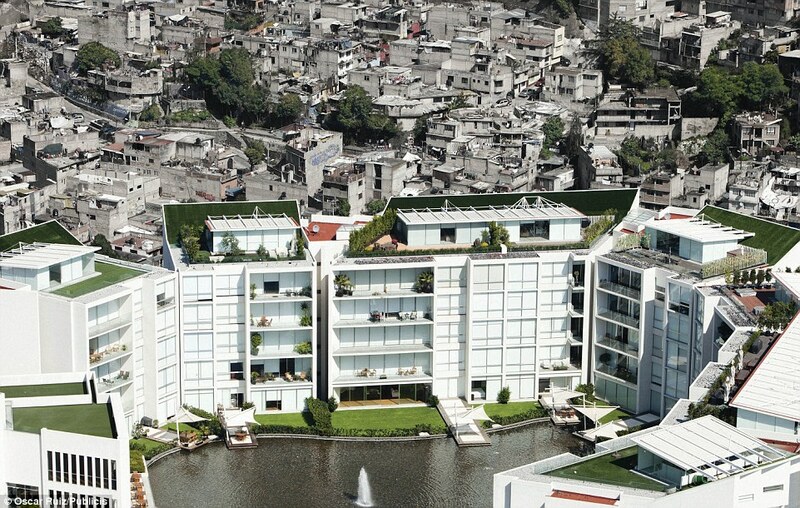 The photographs were produced by ad firm Publicis, based in Mexico City. 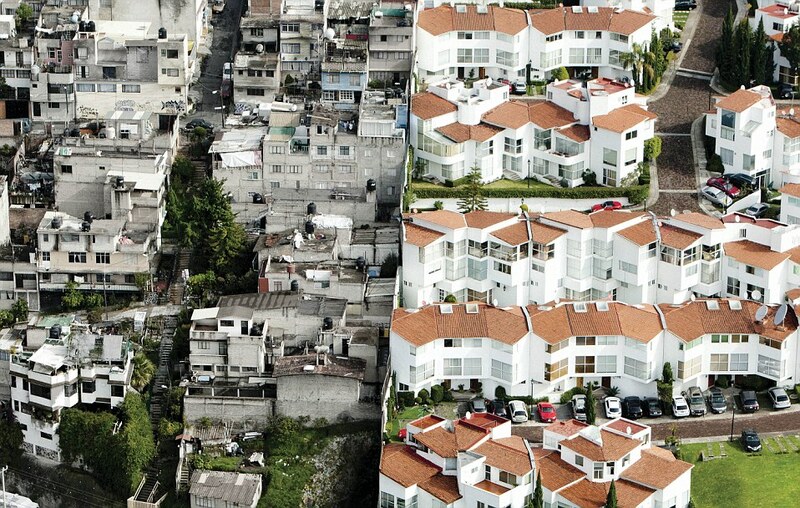 In a nod to the sheer disparity on display, creators of the anti-poverty ad campaign, called Erase the Differences, felt compelled to put a disclaimer on each picture reading: ‘This image has not been modified. It’s time to change that’.